We've added a second hot lunch buffet on Sunday! All seminar customers will enjoy 2 full hot/cold lunch buffets with a variety of great food to choose from. You must register in advance--Tickets at the door will be very limited and available on a cash only basis. Tickets are available for $175. Women and kids under 12 are only $100. 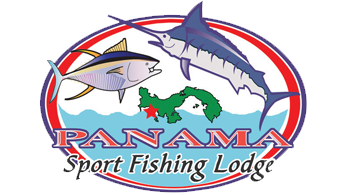 FREE Panama Trip Early Incentive Vacation Giveaway. Register by January 15th to enter! All tickets must be pre-paid, and are non-refundable. Our staff will be checking for bracelets throughout the entire event. You must be pre-registered to enter the facility. The admission fee covers both Saturday's and Sunday's events, all classroom materials, lunch buffets on Saturday and Sunday, and technical T-shirt (be sure to tell us your size when you register). Payment must be made when you register. All ticket purchases are final and non-refundable. Tickets purchased after March 3rd may be picked up at the registration table located at the front entrance of the show. Use the form below to register and pay online with a credit card. Your payment will be handled securely via PayPal after completing the form. You DO NOT need to have a PayPal account to pay with a credit card. can be picked up at the door at the event registration table. Those that register by January 15th will be eligible to win a Free Galapagos Fishing Trip. A named and numbered ticket will be mailed to you upon registration. Would you be interested in having J&B Tackle put new line on your fishing reels at the show? If you are registering more than one person, click 'Continue Shopping' after you have added the first registration to you shopping cart and you will be returned to this form. Repeat for as many registrations as needed.